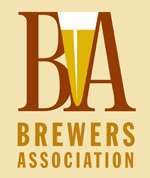 The Brewers Association (BA) shared the news today that the Senate Small Brewers Caucus has been established. The formation of the Caucus was led by Senators Max Baucus (D-Mont.) and Mike Crapo (R-Idaho), who support the role of America’s small and independent brewers as an engine of economic growth in the country. Mirroring the House Small Brewers Caucus, formed in 2007, the Senate Small Brewers Caucus provides a forum for members of the Senate and their staffs to discuss the issues important to small brewers while exploring what lawmakers can do to strengthen the growth and role of these small businesses in local economies across the country.